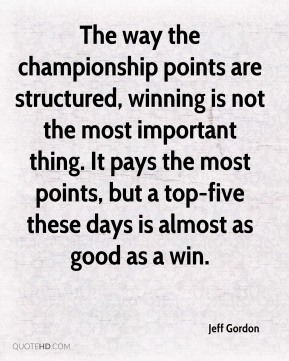 The way the championship points are structured, winning is not the most important thing. It pays the most points, but a top-five these days is almost as good as a win. 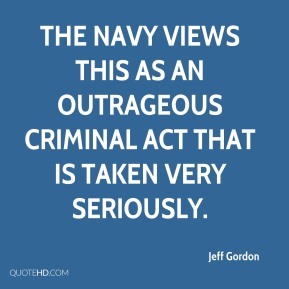 The Navy views this as an outrageous criminal act that is taken very seriously. I want to apologize to the fans. 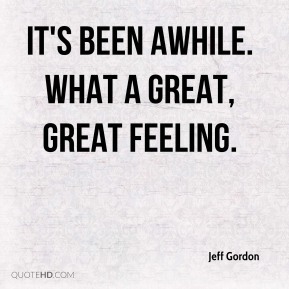 That was absolutely uncalled for what happened today. 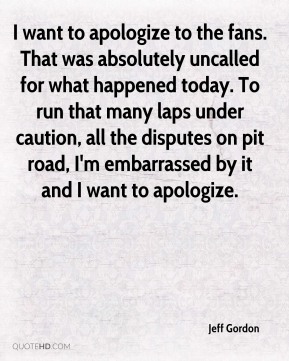 To run that many laps under caution, all the disputes on pit road, I'm embarrassed by it and I want to apologize. Yeah, it tears our confidence down a little bit and it makes us scratch our heads, and sometimes we don't always go in the right direction. But we never stop searching for what we've got to do to turn it back around. 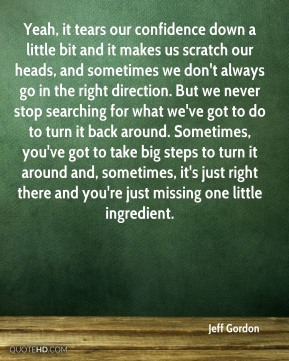 Sometimes, you've got to take big steps to turn it around and, sometimes, it's just right there and you're just missing one little ingredient. 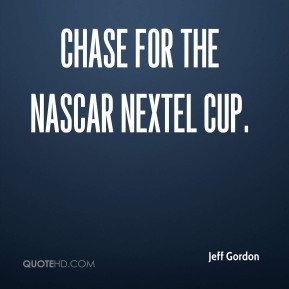 Chase for the NASCAR NEXTEL Cup. 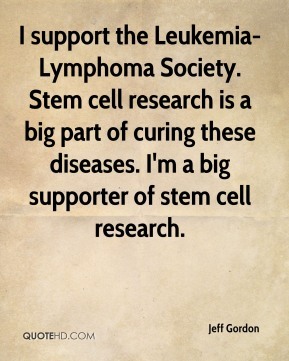 I support the Leukemia-Lymphoma Society. Stem cell research is a big part of curing these diseases. I'm a big supporter of stem cell research. 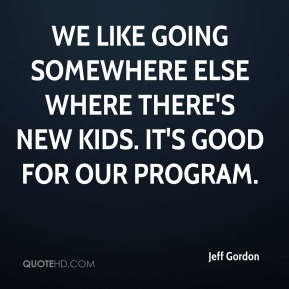 We like going somewhere else where there's new kids. It's good for our program.